Hill style bow made by John McDonald of Big River bows 55# 66" tapered POC, 160 Snuffer with 100gr Woody Weight. 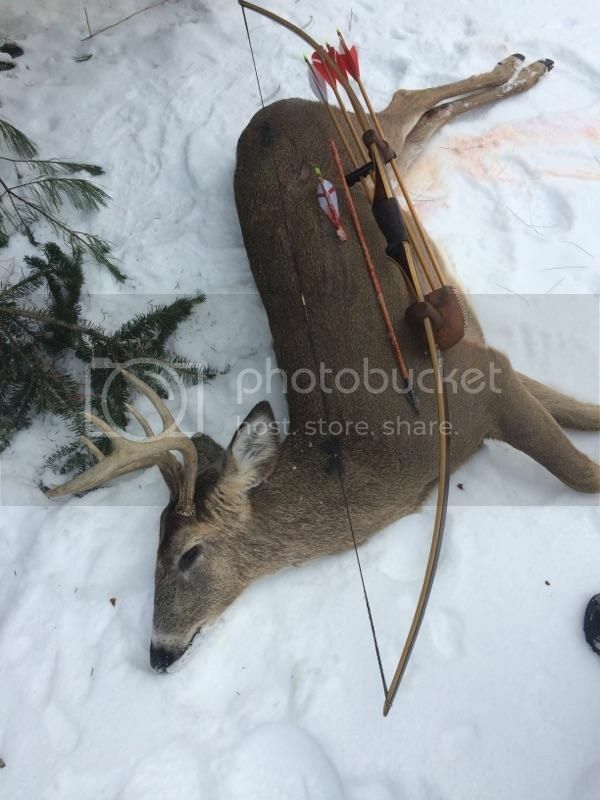 Shot from ground at 13 yards on a deer push. 65 yard recovery. This was the last deer of 7 that finally passsed within range. Held my buck tag as long as I could stand with many passes . 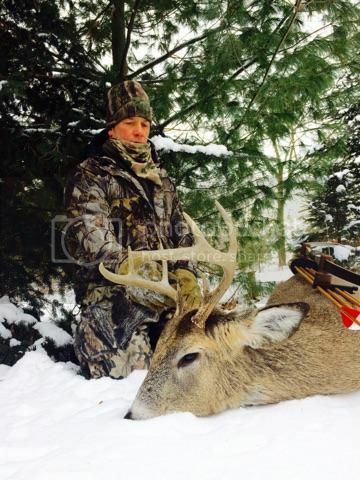 Congrats on a great looking buck! Well done......on a push no less, EXCELLENT!!!!! Congrats on the nice deer!